You might already know that April is Oral Cancer Awareness Month, but do you know why spreading awareness is so important? It’s because oral cancer currently claims the life of one American every hour, taking more lives annually than cervical or skin cancer, among other urgent health conditions. Part of what makes mortality rates so high is that many patients aren’t diagnosed until the disease is in its later stages, when treatment can be difficult. But at Stonebriar Smile Design, Dr. Jill Wade wants to help patients catch oral cancer early, when treatment can be effective. Which is why she uses two great tools to screen patients. In this post, we’ll look at one of those tools: OralDNA. How Does OralDNA Help Dr. Wade Diagnose Oral Cancer? OralDNA helps Dr. Wade asses her patients’ risk for a very specific kind of oral cancer—oral cancer caused by HPV. Tobacco use and excessive alcohol consumption are still the most common risk factors, but more and more cases are appearing in patients with none of these. In these cases, HPV is often the cause, in both women and men alike. With OralDNA, Dr. Wade can easily screen you for HPV, and in particular, the HPV strains that have been linked to oral cancer. The test is simple, can be completed in a matter of minutes, and could save your life. 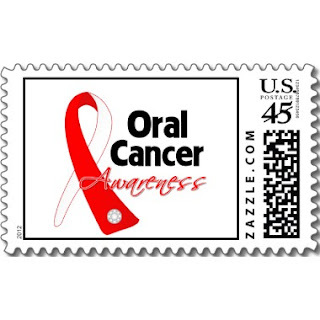 Want to know more about oral cancer screening with OralDNA? Call Dr. Wade’s Frisco dental office for questions and to schedule your appointment. We serve patients from Plano, McKinney, Allen, Dallas, and The Colony.